The stage lights shine bright in Fort Mill, South Carolina, the proud home of NarroWay Productions. “The Broadway of Christian Entertainment” is just outside of Charlotte, North Carolina, and has been providing family-friendly, thought-provoking entertainment for more than 20 years. Nearly 500 performers work to bring dozens of productions to life year-round – including original, Broadway-style dinner shows, mystery theater and children’s shows. As one of the few premier Christian theater companies in the world, NarroWay guarantees a unique and memorable experience to all visitors who enter its doors. This is the perfect opportunity for groups looking to organize faith-based travel, allowing them to create lasting memories through spiritual performances that are perfect for a wide variety of ages and interests. 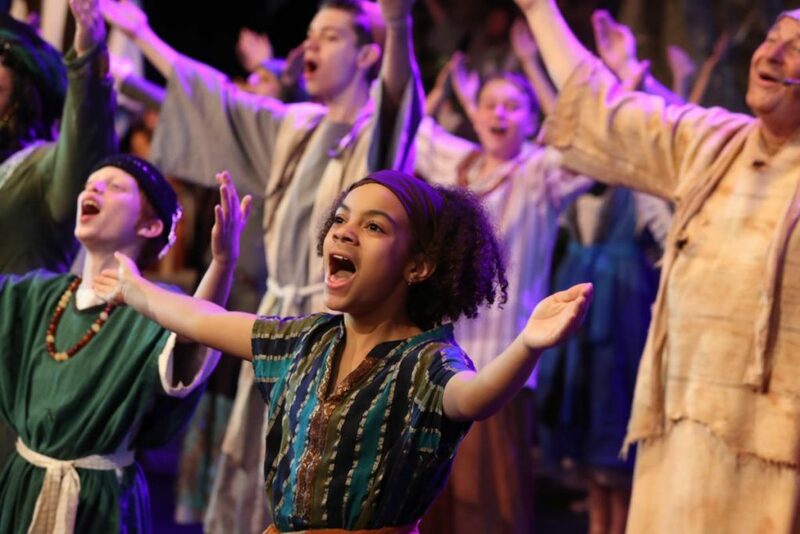 Perfect for Bible study or youth groups, church ensembles, university organizations or faith-based travel operators, NarroWay welcomes groups of all sizes to engage in its long list of year-around performances. Everyone is sure to love the fun, food and entertainment at the NarroWay Theatre – all of which remain centered on the Christian faith. Groups can take advantage of special pricing, with $2 off tickets for 15 or more. It is advised to book as early as possible to guarantee preferred seating and show options. Additional discounts may be available for groups of 120 or more. In addition, tour operators may contact NarroWay directly for pricing that is not listed on the website. NarroWay staff look forward to helping you make the most of your visit and create a seamless process for all your group travel needs. 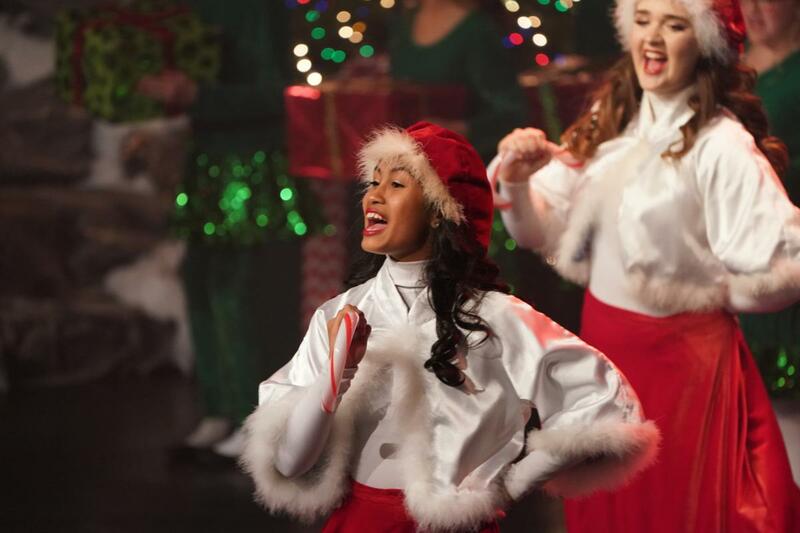 The 2019 schedule is packed with a great variety of shows that include holiday performances, mystery theater, and historic classics. 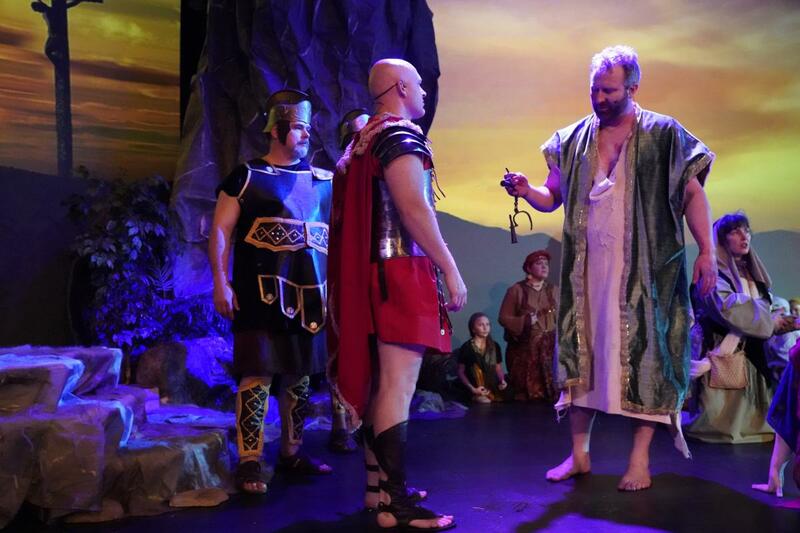 These shows captivate audiences with their thoughtful messages, talented actors, and devotion to the Christian faith – all of which await groups who plan a visit to NarroWay in 2019. While all large cast, Broadway-style shows have a Christian message, not all are set in Biblical times. This is one note of distinction with NarroWay. NarroWay applies timeless spiritual truths to settings that span 3000 B.C. to modern day. Read on to learn more about all the family-friendly entertainment on the schedule for 2019. Travel back to 1926 and east Tennessee in a show based on a true family story. Sing along with fabulous old southern classics and enjoy a true southern meal of fried chicken, mac ‘n’ cheese, cornbread and cobbler. A murderer, two thieves, and a carpenter from Nazareth – this is the story of the Fourth Cross and the man who saved us all. 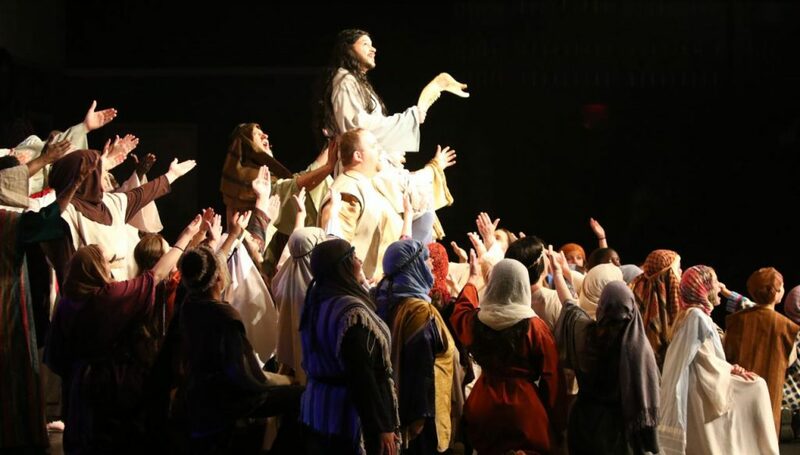 This Broadway-style dinner show engrosses audience members with a production centered around the life of Christ told through a captivating storyline. Guests enjoy a biblical themed meal with short ribs, roasted vegetables, herb bread and scrumptious, homemade bread pudding. Stepping from the pages of a giant book, the great Apache leader comes to life in a triumphant story of hope. 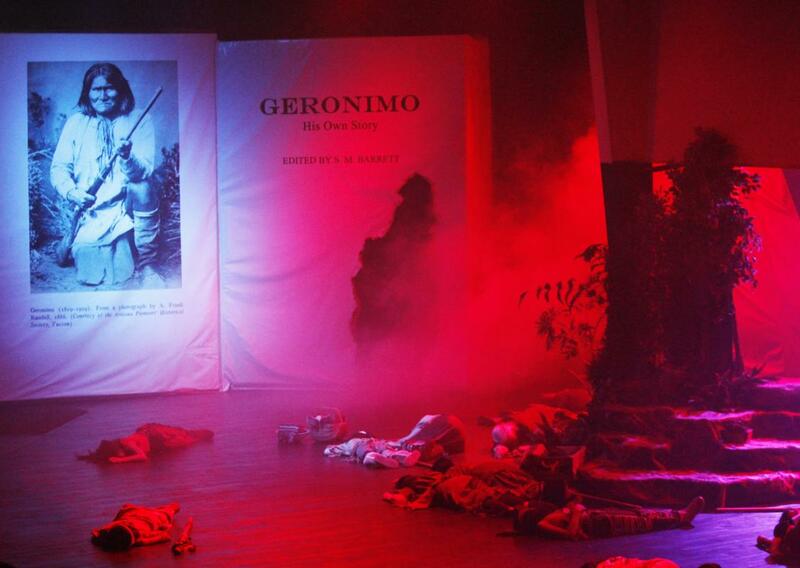 From the massacre at Kaskiyeh to Geronimo’s battle for revenge…from tears to laughter and tragedy to triumph – experience the life of Geronimo as a modern day family relives his journey in their own. Enjoy a delicious Native-American themed dinner topped off with fry bread for dessert. The story of Samson and the story of America. Funny, tragic, patriotic and unnervingly relevant, “Samson” walks through Judges 13-16 while taking a parallel subplot through American history. During this performance the audience will be treated to a delicious Mediterranean themed meal with kalamata boneless short rib steak; angel hair pasta; green beans tossed with pimento, sesame seeds and touch of honey; flat bread; hummus; and homemade crushed oat cake with a coconut and pecan glaze. This performance is truly breathtaking, with talented aerial artists, captivating visual effects, and a story line that travels quickly from creation to Revelation. 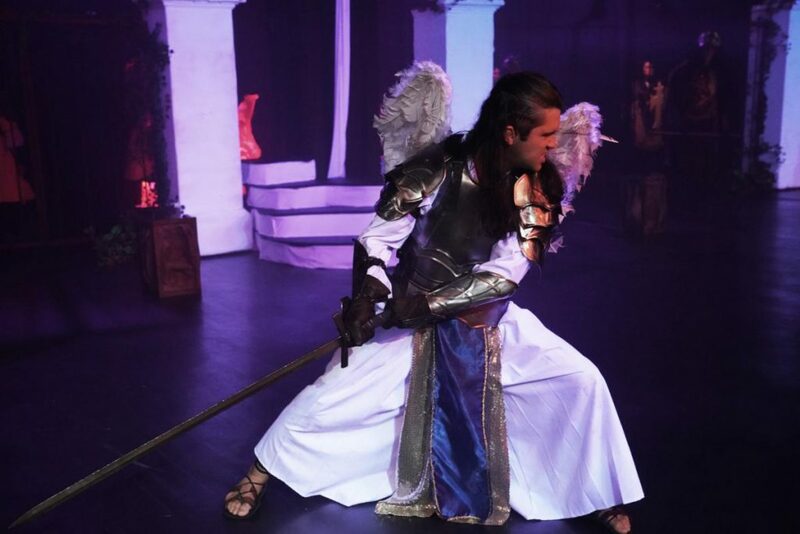 A physical representation of what happened spiritually during the three days Jesus was in the tomb, this show is a sensational portrayal of the unseen battle in heavenly realms. Audiences will be on the edge of their seats while also dining on tasty courses of parmesan barbeque chicken breast, garlic alfredo tortellini, savory succotash and tasty angel food / devil’s food cake topped with angel icing and drizzled with raspberry sauce. It’s easy to lose the real meaning of Christmas in the hustle and bustle of the holiday season. But not at NarroWay. Hear your favorite Christmas songs. See your favorite Christmas scenes. Then experience the wonder of the first Christmas as NarroWay brings to life “The REAL Christmas Story.” Guests enjoy a traditional Christmas dinner with moist-baked turkey, cranberry sauce, mashed potatoes, green beans, warm dinner roll, and pumpkin pie. An audience favorite, dates for this show start selling out in mid-July so it’s important to book early. NarroWay also features a number of shows that can be scheduled as weekday matinees during the holiday season. Group leaders should call to find out more about “The Nativity Set” and other holiday show offerings. NarroWay offers two Mystery Dinner Show features on New Year’s Eve. Early-birds can enjoy the show at 5pm. Guests for the 9pm show can stay for a sparkling cider toast, fellowship with the NarroWay cast and watch the ball drop on the big screen to welcome in the New Year. In addition to scheduled shows above, NarroWay has a variety of Mystery Dinner Shows, children’s shows and smaller cast shows that can be scheduled during the week by groups of 40 or more. NarroWay’s group sales department is always eager to work with group leaders to accommodate scheduling needs. From captivating storylines to the personal touch of a cast who finds their joy in serving the audience before performing, NarroWay is a rare treasure in the world of entertainment. Find out more about this gem at narroway.net or by calling 803.802.2300.